AnInconvenientTruth - Why did this movie matter? Search for more about climate change. What did AnInconvenientTruth do? It won awards. 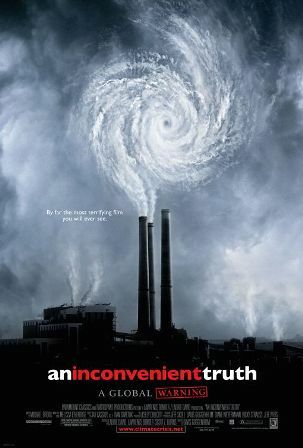 An Inconvenient Truth (along with Michael Moore) helped make the documentary a more commercially viable genre of film. It enlightened people who really needed to know about the threat of global warming. It showed us an intriguing earth cartoon. It made An Inconvenient Truth Star Al Gore into one of the most talked-about Americans. Davis Guggenheim too. Did it spread the truth? 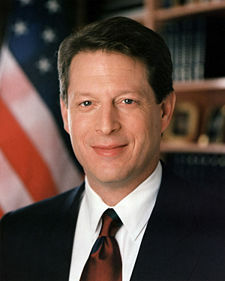 Gore presents a great deal of factual information in AnInconvenientTruth. Data, figures, graphs and photographic evidence that support the points he makes about our planet. Things that energy policymakers should be aware of. Which policymakers? The decision makers in our political bodies, corporations and even our households. The film also serves as a piecemeal biography. Not a detailed chronicle, but a look at pivotal events from his life which have helped drive him on this mission. However, AnInconvenientTruth exists to address anthropogenic global warming. This well-timed movie met with considerable box-office success, impact and critical acclaim. It started off as one of the great independent productions of the 2006 Sundance Film Festival. It uses photographs to demonstrate trends and changes in selected glaciers. Ice core samples spanning hundreds of thousands of years lead forefront researchers to conclude that atmospheric concentrations of carbon dioxide have never been at or above their current levels over that entire time. AnInconvenientTruth puts carbon dioxide as the leading cause of global warming, which can have disastrous consequences. It also asserts that there is widespread scientific consensus human activity causes global warming. Here is a summary of the film and comments from various An Inconvenient Truth reviews. Mankind is filling the thin shell called the atmosphere with various pollutants. Mankind took on a very eye-opening shift in perspective when humans first saw the famous photograph known as Earth Rise. Environmental awareness made great strides shortly after it was taken. This earth photo is unique and now one of the most-reproduced photos in history. Al Gore presents an example of how the coastlines of two continents resemble each other in shape. One classmate of his thought that they might have been able to fit together at one time, but the teacher denied it flatly. Current theory claims that yes, they did, but back then scientists thought differently. Consensus said that continents don't move. By now, most of us know what the greenhouse effect is, heat is trapped by the atmosphere, and additional earth atmosphere gases in the air make it trap heat even better than before. Our protagonist tells how he first saw the pattern of atmospheric carbon dioxide levels back in college. How they went up and down a bit each year like clockwork, but they showed a definite upward trend year after year. The pollution graphs displayed showed that in only 40 years, a 20% increase in CO2 concentrations measured at the top of a mountain in Hawaii. As AG entered politics, he took on the mission to educate Congress about this little problem, got some laws passed and unsuccessfully tried to become one of the US presidents, with hopes of fixing it. Losing the 2000 election led him to resume his original mission, using his slide show to preach the gospel of pending environmental catastrophe. Now for the photos. Every glacier shown in his climate pictures has shrunk significantly over the course of several decades. Mount Kilimanjaro in Tanzania. Glacier National Park. Columbia Glacier and several others. He informs us how the fresh water supply of many people disappears. Next comes the ice cores. Two graphs show temperature and carbondioxide data over the last 650 thousand years. Each goes up at the same time the other does. And down again too. They fit together just like those coastlines shown earlier in AnInconvenientTruth. The two traces represent temperature and CO2. It has made the difference between "a nice day and having a mile of ice over your head." And now he delivers his famous line: "This is really not a political issue so much as a moral issue." Maybe he implies that present day warming trends could have that same effect again. We need to leave a proper legacy for our children. AnInconvenientTruth continues with graphs of our planet temperature change, including the much-criticized hockey stick chart. Like the ice core records, these graphs show that recent temperatures have been higher than ever before. Warmer ocean temperatures can provide energy for more frequent, stronger storms. Take Katrina for instance. Warmer weather would cause warmer ocean temperatures and so we have another gift from our friend, global warming. Winston Churchill warned us that serious consequences would come from our actions. Global warming is a very good example of this. Damages and insurance claims have skyrocketed. According to AnInconvenientTruth, global warming is to blame. What other effects will global warming have? Floods and drought, primarily. It increases severe precipitation events and overall aridity index in other areas. Changes are taking place much quicker than we realize. The Arctic regions hold the most incriminating evidence. One photo shows the broken Ward Hunt Ice Shelf while another relates the story of the drunken trees. They tip over because the permafrost holding them upright defrosts and no longer provides support. Other examples relate to dying infrastructure and shorter trucking seasons in northern Alaska. We then see a good deal of evidence that the melting arctic ice shield is thinning and shrinking. And it may disappear completely. AnInconvenientTruth tells us the arctic is expected to warm up faster than the rest of the earth in general. Polar bears seem to need that ice, and they could drown if they have to swim too far to find it. It gets worse. The decrease in temperature differential may stop driving the ocean currents and Hadley Cells (air currents) we depend on. The water running off North America following the last great melt changed the salt concentration in the Atlantic Ocean, shut down the ocean current and caused a new ice age in Europe. The ice sheets on Greenland may do the same someday. AnInconvenientTruth pegs global warming with changes in migration patterns. Birds no longer arrive at the same time as their prey, insects infest new areas etc. Problems, death and diseases (e.g. SARS and West Nile Virus) go along with them. Coral reefs die off as well. Antarctica and global warming: In one region, ice in the water off the coast of Antarctica has melted rapidly. It no longer held the other ice on top of the continent. That ice slid into the water and raised the sea level a bit. If the ice in Greenland melts, the projected changes are shown on maps which have become a trademark of AnInconvenientTruth, one of its most recognizable images. Florida, Manhattan and other heavily populated areas of the world become submerged in floodwaters. The 20th century has had a population explosion. Food demand is like never before. Changing nature has amplified consequences because of more people imposing a greater impact. Especially North Americans. The well-known boiling frog metaphor illustrates the point that inaction (with respect to making changes for the benefit of the environment) appears harmless if consequences happen slowly. But not so if the effects happen suddenly. AnInconvenientTruth gave the reason Al Gore's father quit the lucrative business of tobacco farming. That reason had very much to do with morals. Zero out of 928 scientific articles examined denied man-made global warming was a problem. Over half of 636 "popular press" articles expressed indecision. Another one of the great AnInconvenientTruth quotes: "It's difficult to get a man to understand something if his salary depends on him not understanding it." Why are the most successful companies building the most efficient cars? One important thing seems to be market and regulatory acceptance. We need to reduce air pollution caused by cars. It's also less damaging to the environment - more power to them. Even if the US and Australian feds did't seem too concerned about global warming, smaller jurisdictions such as individual states take matters more seriously. Americans have a history of putting social and even environmental problems to an end. Let's see if they can conquer this one. care of it. He alludes to Carl Sagan's The Blue Dot. This video shows you a small sample from that book. Hate is a strong word, but there are many inconsistencies that are being ignored. Al Gore says there is no scientific disagreement about whether global warming is real or not. Other parts of the issue are up for debate. There is a tendency for anyone who speaks against the principles outlined in AnInconvenientTruth to receive labels such as "being in denial", "heretic" or "astroturfing" (a front secretly funded by big business). Groups such as Friends of Science fall into this category, whether the accusations are true or not. The Brits jumped into this argument with Martin Durkin's documentary The Great Global Warming Swindle. It does not try to deny the existence of global warming, but seeks to identify causes outside of mankind's carbon emissions. People holding this view are clearly a minority, and tend to act as if they were on shaky ground, even if they incorporate some real hard science into their statements. Richard Lindzen, who asserts Al Gore fails to acknowledge that the earth's climates always changes. He also disputed the claim about the 928 articles. Roy Spencer, who once asked Gore if he thought warmer arctic temperatures during the depression somehow tied to thin ice cover or GHGs as well. Tim Ball, who points out several flaws in the global warming issue. One of which is that examples used in AnInconvenientTruth may have other factors influencing them. Things such as glacier photos shown potentially taken during different seasons of the year. See AnInconvenientTruth. Everyone should. Also, recognize that your view the subject will not be complete afterward, but much better than before. AnInconvenientTruth serves as a very thorough introduction to the issue of global warming. If you really care about this, and want to pursue a well-rounded education on the subject, then see The Great Global Warming Swindle as well. It will also help to seek critical comments on both of these productions. They are plentiful. Start with IMDB or Yahoo! Answers. You will end up reasonably well-informed. Go back from AnInconvenientTruth to the Solution Global Warming webpage, or visit the Stuff in the Air homepage.